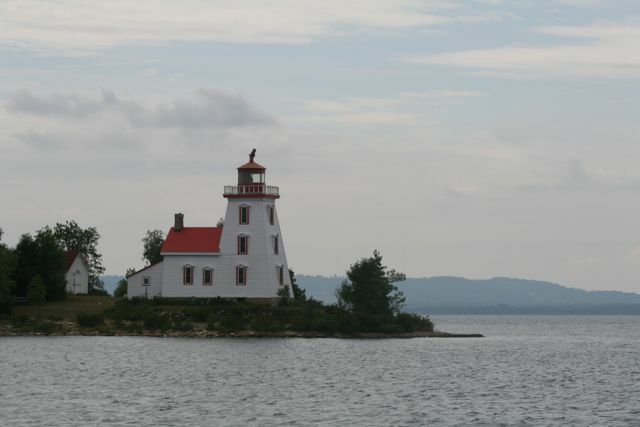 In the past, Canada’s Department of Fisheries and Oceans ran and maintained lighthouses in this region. 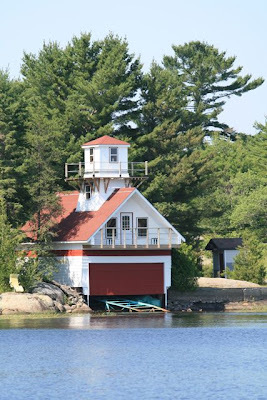 But just this past May, DFO made the announcement (“jaw-dropping,” according to the Manitoulin Expositor) that local lighthouses were “surplus to its needs,” and the government would be divesting itself of ownership. According to Lighthouse Digest, the first lighthouses in this region were erected in the mid-1800s, as the population grew and fishing and shipping increased. 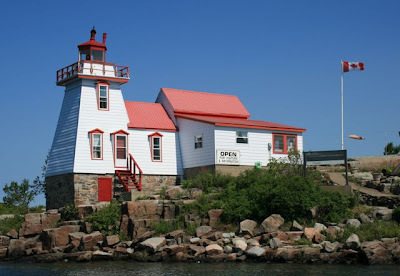 Many more lighthouses were built after 1867, the year of Canada’s confederation. They're all much the same style, made of wood, with lights fueled by coal oil or kerosene. Usually, a lighthouse keeper lived at the lighthouse year round, often with his family (and according to Lighthouse Digest, with the wife and kids as unpaid help!) As recently as 1991, one lighthouse in this region still had a keeper. In this era of GPS navigation, you can see how lighthouses no longer play a critical role in coastal navigation. But they’re so darn scenic! And picturesque! Not to mention the history, the lore, the romance. On Manitoulin Island (where the town of Little Current is), local folks are organizing to both preserve and protect their lighthouses, AND to market them as a resource. The issue is not the expense of buying the surplus lighthouses from the government. Apparently DFO is likely to sell the structures for a token amount, perhaps as little as $1. But there's a lot of paperwork, and then, repairs and upkeep will be costly. Finally--as many community historical museums can attest--it's hardly likely that a lighthouse alone will attract enough visitors to a town to bring in enough revenues to offset the cost of the lighthouse upkeep. One helpful development in this story: Canada recently passed a “Heritage Lighthouse Protection Act.” Municipalities that can wade through the paperwork will be able to put the force of law behind protecting their lighthouses. A lighthouse for sale? Zadie, do you want to make a bid? Dad, Anna's onto something! If it's on an island, I'm in! Marian and I have to talk first! Dad and David didn't have a boat.The lighthouse was underwater!! !